Should I go to Japan to see the cherry blossoms? Hi! So we found $500 flights to Japan during cherry blossom season. We’ve lived in DC and SF, which both have amazing cherry blossoms. Do you think it’s worth whatever other premiums I imagine we’d be paying to visit during that time period? Absolutely, yes. I always think it’s worth it to have new experiences in Japan. So perhaps the first thing I realized is that “cherry blossom season” spans quite a long period of time. 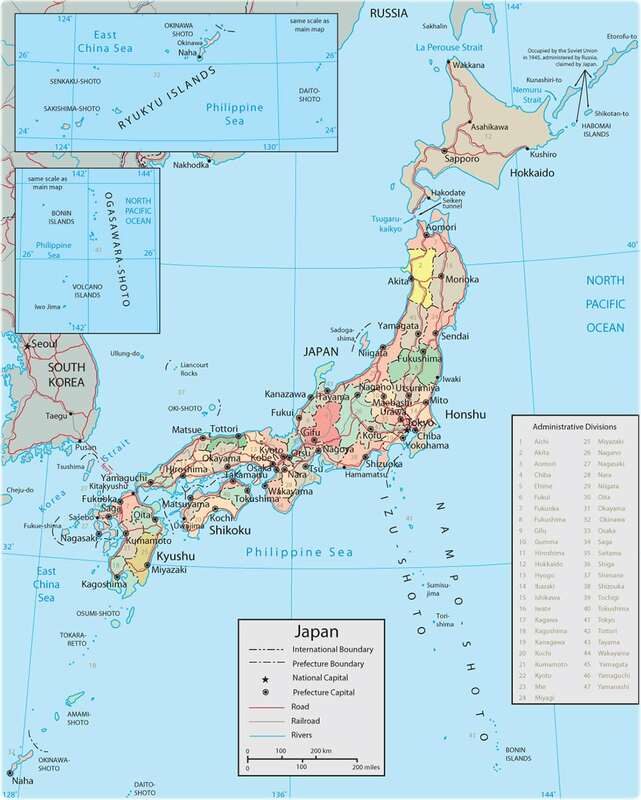 Even though the blossoms on any given tree are in full bloom for only a couple of days, at most a week, the first blossoms appear in tropical Okinawa in late January/early February and don’t appear in the northernmost tip of Hokkaido (nearly 3,500 km to the north!) until early to mid-May. In total, that’s over three months! Just on Honshu (Japan’s main island), the first blossoms appear in southern Yamaguchi in mid-March but don’t bloom in northern Aomori until late April. 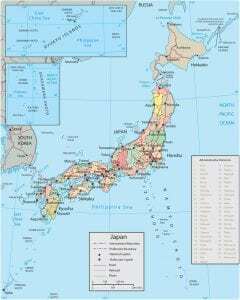 This means that there’s essentially a three-month-long rolling wave of cherry blossoms that starts in the south and slowly makes its way to the north. 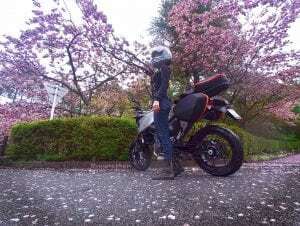 This has led some people to actually go on a bicycle or motorcycle tour and follow the cherry blossoms all the way from the south to the north. 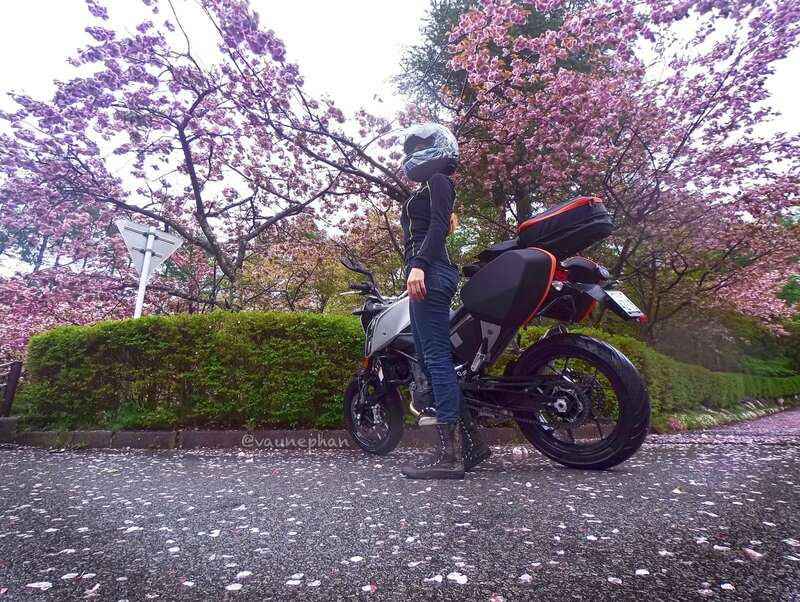 This mode of experience allows travelers to follow the blossoms, to see the full range of the wide variety of cherry blossom varieties and to experience them in small towns, big cities, and in all the nooks and crannies that mountainous Japan has to offer. It also allows one to experience all of the variations in culture and celebrations of spring that exist throughout the country. We’ll touch on the deeper meaning of “hanami” (花見) in a bit, but first we have to deal with the most problematic aspect of traveling to Japan to experience cherry blossoms. The core problem of traveling to Japan to see the cherry blossoms is that it is extremely difficult to predict exactly when the trees will be in full bloom in any particular place. There can be a difference of weeks from year-to-year of the actual date that the blossoms appear. This is a problem in the U.S. as well. A Japanese friend of mine lives outside of Washington D.C. and owns a travel agency. A couple of years ago he had fully booked a bunch of tour groups coming from Japan to see the D.C. blossoms. However, because of “unusually” warm weather (it seems the “unusual” is becoming much more usual lately…), the blossoms were long gone before the tourists arrived. Smithsonian anyone? If you’ve booked your flights and hotels months in advance, there’s no real way to know if there will be any blossoms for you to see when you get there, and given the cost of the trip, many people are uncomfortable with that kind of uncertainty. If possible, the thing I would recommend is to go ahead and reserve your international flights, but wait until the last possible moment to book your domestic travel and hotel reservations. That way you can be sure that there will indeed be blossoms to see when you get to your final destination. Not everyone is comfortable with that level of spontaneity in their travel, but on the flip side, it could be kind of exciting not to know exactly where you’re headed until you get there! Even waiting until 2-3 weeks prior to your trip is much better than booking months in advance. Waiting to book your accommodations may rule out some of the cheapest places like youth hostels or temple stays (like this one), but Air BnB is alive and well in Japan, and there tend to be a wide range of places you can stay on relatively short notice that are of high quality and reasonable price. Since most Japanese domestic travel is highly restricted to official holiday periods, I wouldn’t expect to see too much of a rate spike except in the biggest tourist destinations, like Kyoto. But now we’re beginning to get at the question of what kind of experience you want/expect to have. “Hanami” literally means “flower viewing.” The hanami party is the classic Japanese way to enjoy cherry blossoms. This can be as simple as rolling out a blanket under a blossoming cherry tree in the park near your house. Hanami parties can be family picnics, dates, an outing with coworkers, or just a few friends getting together to celebrate the coming of spring. Usually, it’s still pretty chilly when the cherry blossoms bloom (you can see people in the picture to the right are fairly warmly dressed), but there’s a clean, fresh, new smell in the air, and there’s a great deal of hope and expectation for the year ahead. Some people prepare or purchase elaborate “bento” boxes or sushi to celebrate their hanami. Others just grab a few beers and some snacks from a 7-11. Of course you can almost always find a place to sit at one of the open air beer gardens that spring up at these times. Traditionally, the cherry blossoms bloomed in Kyoto around the end of March/beginning of April, and that has always marked the boundary between calendar years in Japan. The school year, from preschool all the way through college, begins after the first of April. People freshly graduated from college begin their new jobs then. Almost all government and business calendars follow an April to March cycle. There is something poignant and beautiful about the delicate and ephemeral yet intense and explosive appearance of the cherry blossoms signaling the close of winter and the arrival of a new season. When I think back on what were my most memorable hanami experiences, they all revolve more around whom I spent them with rather than how amazing the actual cherry blossoms were. I think the key to a fantastic hanami would be to arrange to spend it with friends, or perhaps new friends. Stereotypically, Japanese people can be kind of shy around foreigners. However, if you find yourself in close proximity to a bunch of people in a beer garden under the cherry blossoms, after a few drinks you may find yourself in conversation with those people. Some of my best experiences at festivals in Japan (not just hanami) have arisen organically out of just talking to the people around me. 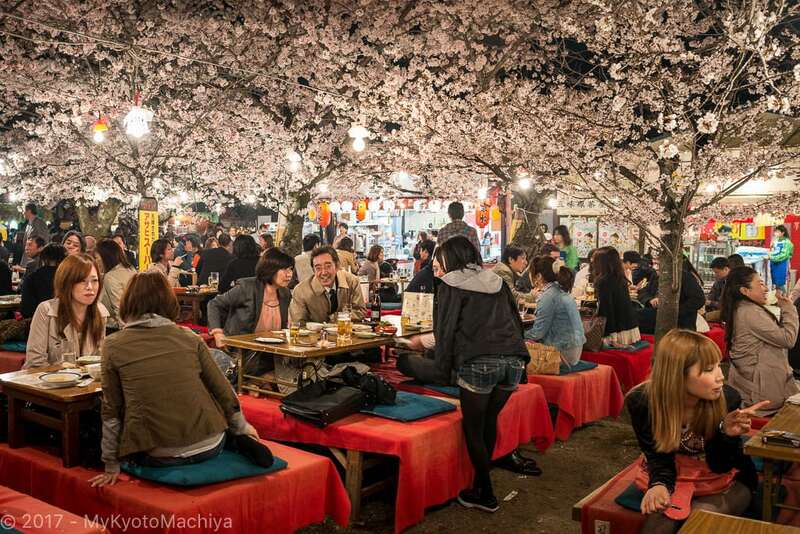 So if you know someone in Japan, perhaps plan to spend your hanami with them. If you don’t know anyone, don’t be shy about trying to make new friends. As with any new place in the world you might visit, the locals almost always know all the secrets to the best way to enjoy the culture. I’d strongly recommend you find a guide. The bottom line is, even if the flowers themselves don’t turn out to be as amazingly spectacular as you might have imagined, the experience can still hold a kind of magic. 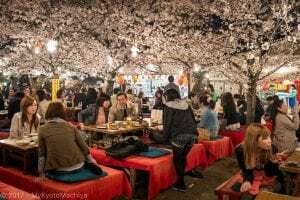 I’d almost never discourage anyone from going to Japan for whatever reason, but going to experience hanami with the people of Japan is definitely a unique opportunity, and one that I’d jump at if I had the chance.